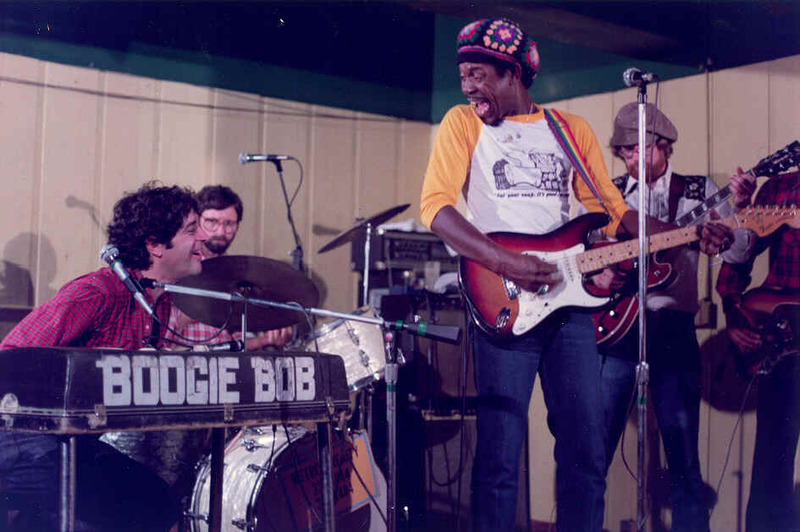 Luthor Allison & Boogie Bob at Ricks, about 1975. The Boogie Bob rhythm section, including Slippery Steve and Chris B. Bacon. Hard to beat this combination for backbeat rock & roll. We had a great run at Ricks. And around the country. Always nice to have someone like Luthor or Chuck playing lead.